If you’ve got a handful of sweet smelling herbs – think lavender – laying around and ready to be used, why not use them for your own homemade honey lotion? Warm honey over a saucepan until it gets to a liquid consistency. 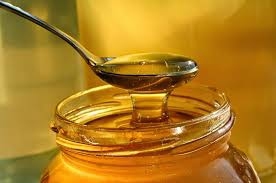 Pour honey over herbs and cap tightly; the ratio you want to use is 1 tablespoon of herbs per 8 ounces of honey. Let sit for a week and then mix 1 teaspoon of liquid into an 8 ounce bottle of unscented lotion.